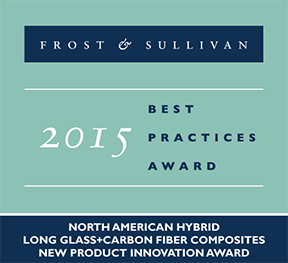 MOUNTAIN VIEW, CALIFORNIA., USA — Based on its recent analysis of the long fiber composites market, Frost & Sullivan recognizes compounder PlastiComp, Inc. of Winona, Minn., with the 2015 North American Frost & Sullivan Award for New Product Innovation. Identifying the need to reduce the cost and weight of products, PlastiComp introduced their Complēt Hybrid long glass and carbon fiber-reinforced composite materials for customer applications requiring higher performance. These composites help automotive companies adhere to the Corporate Average Fuel Economy (CAFÉ) standard, which is compelling original equipment manufacturers to make vehicles lighter and cleaner than ever before. 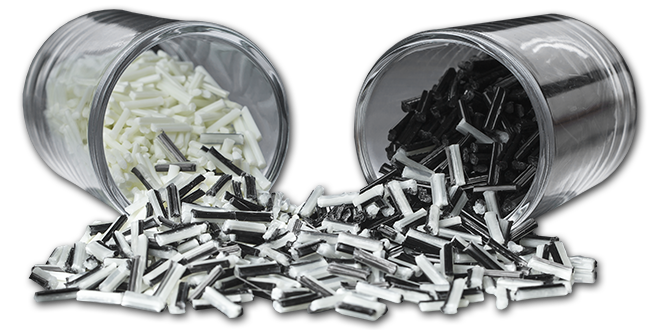 PlastiComp uses a proprietary pultrusion compounding method to manufacture Complēt Hybrid long glass and carbon fiber-reinforced composites. This method assists in deriving a homogeneous injection-molding material apt for diverse industry applications that can make use of long fiber composites as an alternative to heavier metal materials. Integrating continuous glass and carbon fibers in the right proportion to obtain effective long fiber composites has been PlastiComp’s key focus. The company can tailor mixing ratios per the specifications of varied customers with regards to cost and performance. When compared to conventional thermoplastic materials, long fiber composites are stronger, tougher, and lighter while offering a similar life cycle and ability to be recycled or re-ground. PlastiComp’s optimum mix of proactive and reactive product development strategies has helped it develop an extensive portfolio of composite solutions, which allows customers to choose the best-fit material for their needs. The company’s strong expertise in quickly developing customized products that resolve key customer challenges has also played a key role toward this end. Technologically sturdy, PlastiComp has managed to spread its products globally. The company has maintained perfect parity between the functional performance of its products and the customer service it offers by continuously introducing composite solutions with enhanced value propositions. 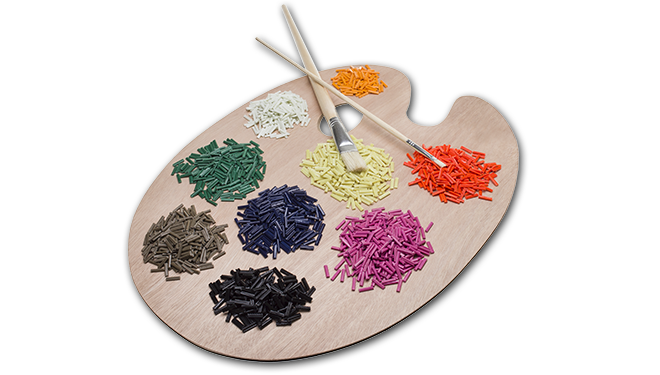 PlastiComp clearly stands out as a company with differentiated abilities that is capable of giving customers a rich ownership experience. By offering mold flow and finite element performance analysis services along with designated teams of specialized design and composite engineers, the company serves as an end-to-end service provider. Each year, Frost & Sullivan presents this award to the company that has developed an innovative element in a product by leveraging leading-edge technologies. The award recognizes the value-added features/benefits of the product and the increased ROI it offers customers, which, in turn, increases customer acquisition and overall market penetration potential. For more information on PlastiComp’s hybrid long glass+carbon fiber composites or their other LFT products and technologies, please call +1 507-858-0330, e-mail info@plasticomp.com, or visit their website at www.plasticomp.com.